Slice 2 jalepeños and add to tequila (I place in a mason jar). Store in a cool area, but can be kept at room temp, allow to sit for at least 24 hours, I prefer 72 hours to get the desired heat level. 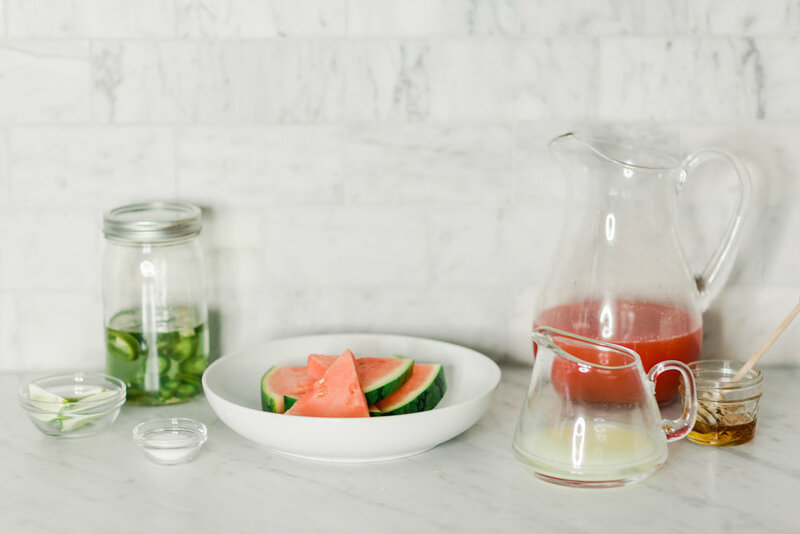 If juicing your own watermelon, slice melon in half, scoop out all the insides and place in blender (depending on size of melon you may need to do this in multiple batches). Blend until smooth. Use a small sieve and strain watermelon juice in order to catch any seeds or chunks that may not have been thoroughly blended. 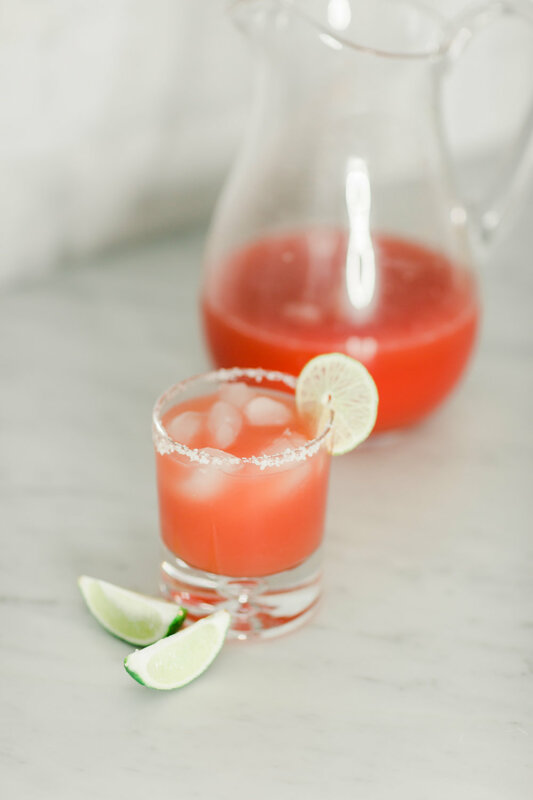 Once tequila is ready, combine 1 shot of tequila, ½ cup of watermelon juice, juice of one lime, 1 tbsp agave in a martini shaker, add add and shake. Rim glass with pulp of lime and dip in salt. Pour margarita in and enjoy. To make these margs extra spicy, muddle jalepenos in shaker before adding other ingredients. I love margaritas, what I don’t love are the calories and extra junk that goes into most margs. So, I created this bad boy because I love them extra spicy and as healthy as possible. Make them individually or a large pitcher, trust me, they won’t go to waste! Simple fresh ingredients are really the star here! If you're in a rush, buy a bottle of cold pressed watermelon juice and pre cut watermelon to spice up the rim of the glass. Just because you're making a homemade cocktail doesn't mean it needs to be difficult.